Patrick, the book's opening line tells us, is 'very, very rich'. He's also single, and he has his sights set on Nicholas Milestone, a handsome young provincial journalist. Having lured Nicholas to London with the promise of a job on a tabloid magazine, Patrick moves the young man into his suite at a posh hotel, where he lavishes money and expensive gifts on him. Nicholas enjoys his luxurious new lifestyle and meeting Patrick's amusing and fashionable friends, but he soon understands what Patrick's really after. Knowing he won't be able to resist the older man's advances forever, the greedy Nicholas will have to choose between his conscience and his newly acquired love of money. 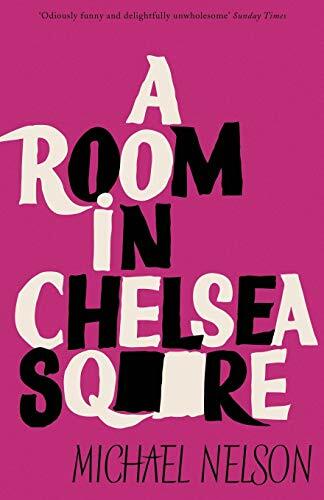 A Room in Chelsea Square (1958), the semi-autobiographical second novel by Michael Nelson (1921-1990), was published anonymously both because of its frank gay content at a time when homosexuality was still illegal and because its characters were thinly veiled portrayals of prominent London literary figures. Witty, clever, and very funny, Nelson's novel has long been recognized as a gay classic and returns to print in this edition, which features a new introduction by Gregory Woods.